Save With The Promo Codes! Holiday Season is even closer than you think! Are you ready for the big shopping and hustle around for the best gifts ever? Make a special gift and pleasant surprise for your nearest and dearest by rearranging furniture with FurniturePick. Besides, you will make a pleasant surprise for yourself as well, by saving when using our coupon codes. In addition to our already discounted prices, receive additional savings by entering a coupon code. Summer is almost over and we are enjoying one last extended weekend this season, catching sunrays and spending great time having picnics with the friends and close ones. Our team also would like to treat you with something special this year, and we welcome you to shop the biggest event of the long weekend. Ready to celebrate the end of summer and your hard work? Treat yourself with the best prices and save with the discounts! Go furniture shopping with the Furniture Pick the coming Labor Day. Find awesome deals on everything you need for your home décor and interior design with us this year! Get up to 70% off for the bedroom furniture and outdoor, up to 65% for the living room sets and youth furniture, 60% off for home bar&game room sets and home office furniture. Visit our clearance center for the best deals we offer! Find even more hidden deals with the spring furniture sale and offers from Pulaski Furniture and Magnussen Furniture with our Labor Day Sale. Enjoy the wonderful surprises from Furniture Pick and your lovely extended weekend this Labor Day. Brighten Up Your Home For The Holidays! The Holidays is an inspired period that means coziness, warm atmosphere and the beginning of festive days. Would you like to make your home ready for the holidays, creating a holly atmosphere for your family and friends? The Thanksgiving Day and Black Friday would be the best time for this. Try adding a mixture of bright and cheerful colors to your interior. One of the ways to integrate them into your room is through accent pieces, such as accent chairs and cabinets, pillows and throws, wall art, area rugs, lamps and other accessories. They’ll add a nice new feeling to your home without breaking the bank. 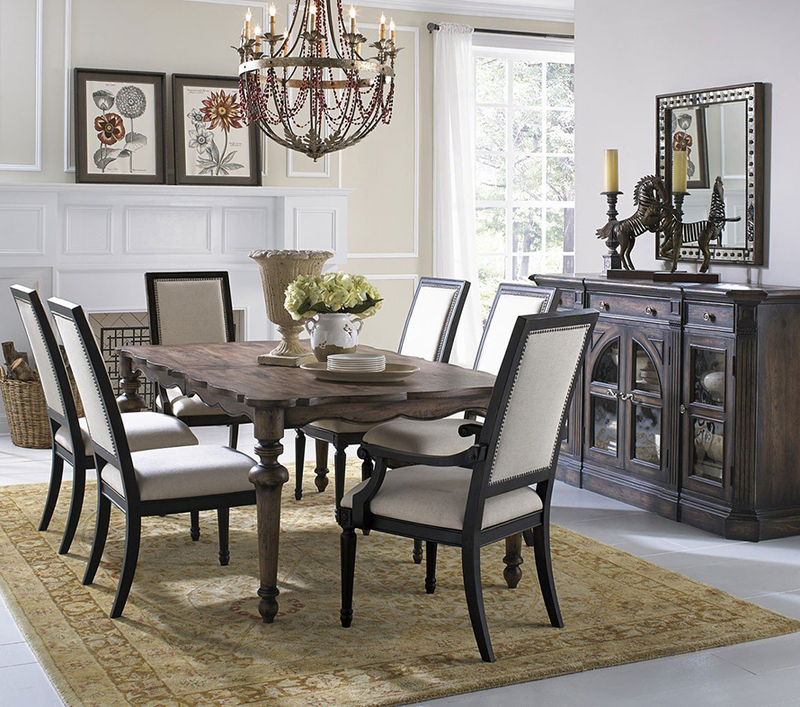 Consider, for example, the Hidden Treasures Collection by Hammary or Accent Chairs and Cabinets by Coaster Furniture. Contemporary style of red accent chairs by Coaster on swivel bases with will make a splash in light-colored interior. In addition, if you have calm color array in the room, you may combine it with bright Hidden Treasures Chests that have painted floral accents, for storage of clothing and other housewares. Placing such chests in your room would certainly create the atmosphere of charming glow. If you’re looking to add bigger furniture pieces, try Ean – Lime, Maier – Sienna or Darcy – Salsa Living Room Collections by BenchCraft and Signature Design by Ashley Furniture. Their comfort size and contemporary style will refresh and brighten your room for the holiday season. For other interesting furniture solutions and decorative ideas look at our TOP 10 Picks or browse our online catalog, where you can find a big variety of items that will fit your style and character. Make shopping joyful and pleasant with FurniturePick! If you have some handsome design ideas, please share your photos with others by uploading them to the Customer Photo Gallery.